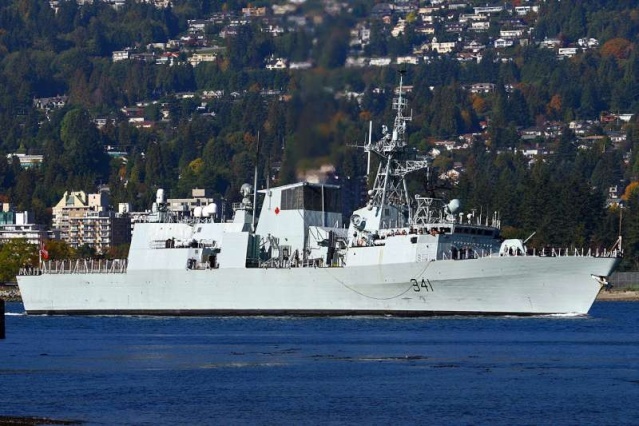 Bangor, Wash. (Oct. 1, 2004) – The Canadian conventionally powered diesel-electric submarine HMCS Victoria (SSK 876) arrives at the Pacific Northwest Region Bangor Complex to conduct ranging operations with the Naval Undersea Warfare Center, Keyport, Dabob Bay Range Facility. 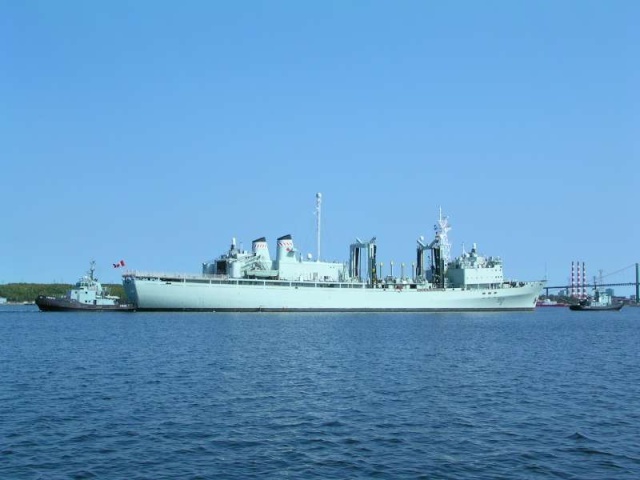 The Victoria is a longe-range patrol submarine commissioned in Halifax, Nova Scotia, in December 2000. 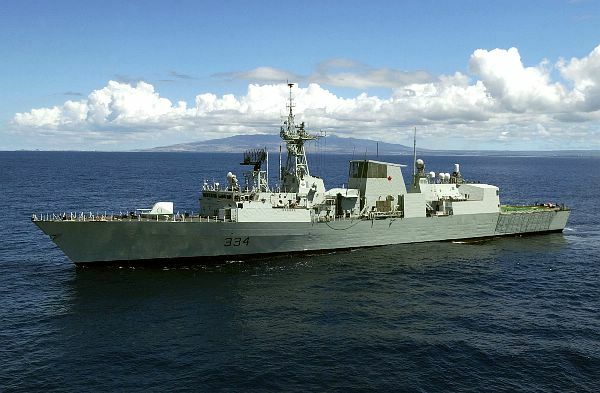 Pacific Ocean (July 6, 2004) – Canadian frigate HMCS Regina (FFH 334) heads out to sea to participate in exercise Rim of the Pacific (RIMPAC) 2004. 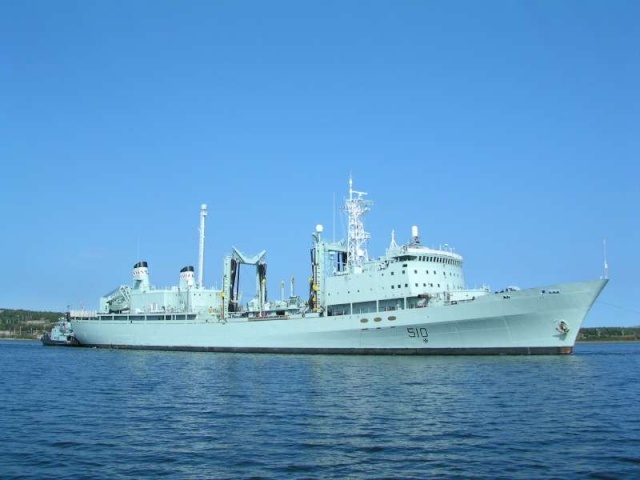 RIMPAC is the largest international maritime exercise in the waters around the Hawaiian Islands. 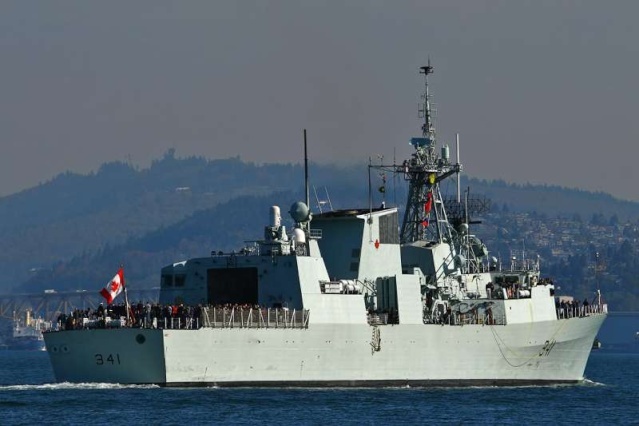 This years exercise includes seven participating nations; Australia, Canada, Chile, Japan, South Korea, the United Kingdom and the United States. 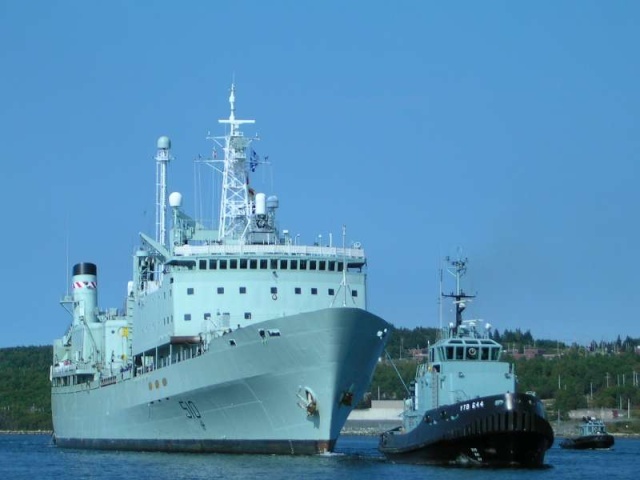 RIMPAC is intended to enhance the tactical proficiency of participating units in a wide array of combined operations at sea, while enhancing stability in the Pacific Rim region. 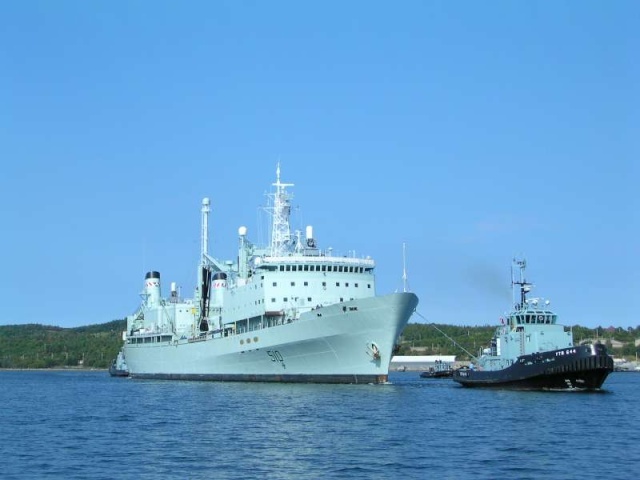 HMCS Halifax (FFH 330) alongside HMC Dockyard, Halifax, Nova Scotia on September 7th, 2007. 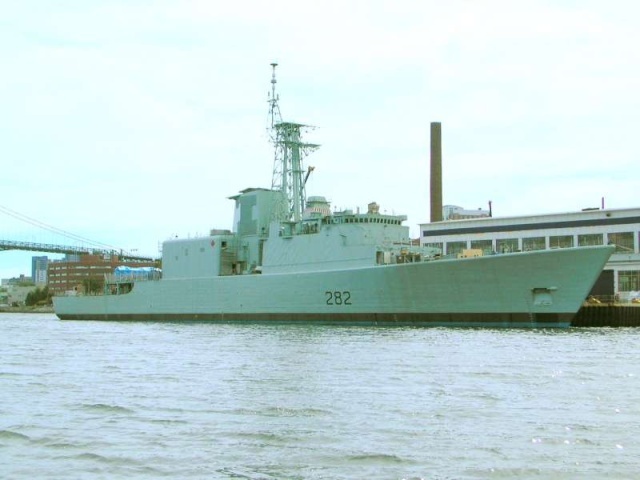 HMCS Iroquois (DDG 280) at Dockyard, Halifax, Nova Scotia on 21 September 2007. 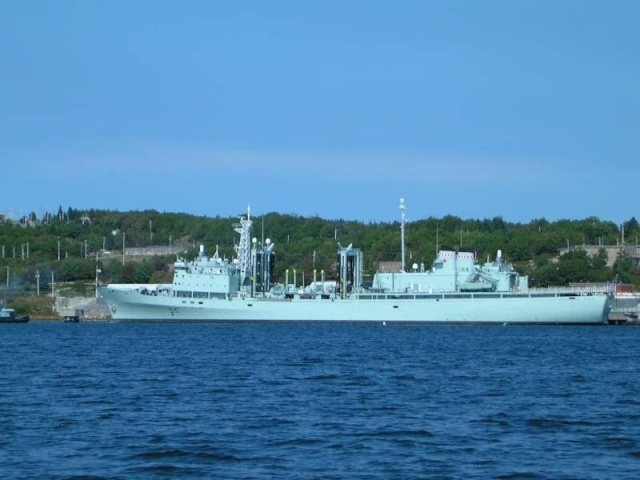 HMCS Preserver (AOR 510) at Bedford DND Jetty NN in the Bedford Basin on September 25th,2007. 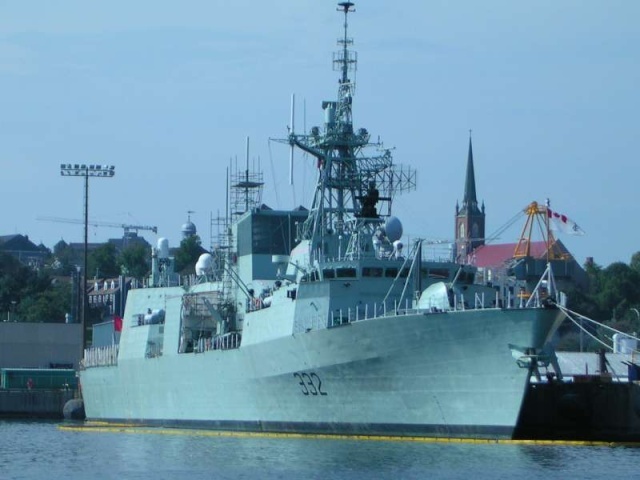 HMCS Ville de Quebec (FFH 332) at HMC Dockyard,Halifax,Nova Scotia on September 27th,2007. 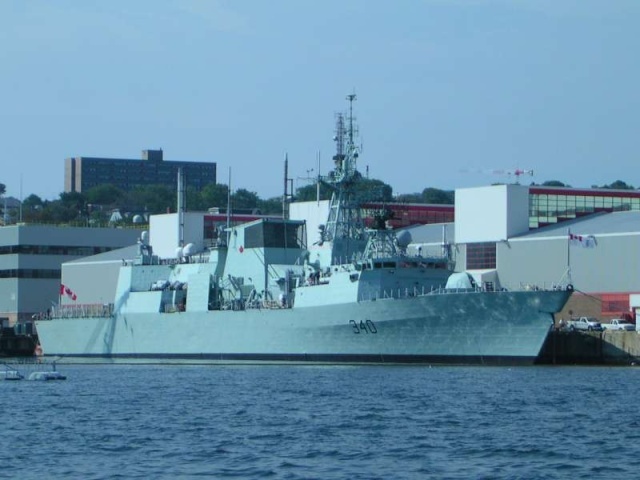 HMCS St.John's (FFH 340) at HMC Dockyard,Halifax,Nova Scotia on September 27th,2007. 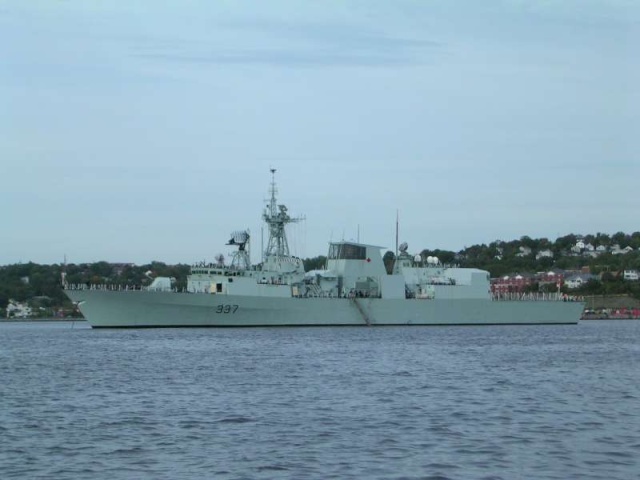 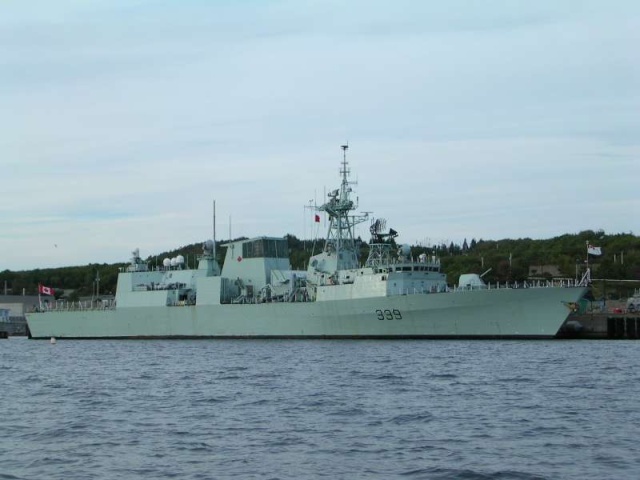 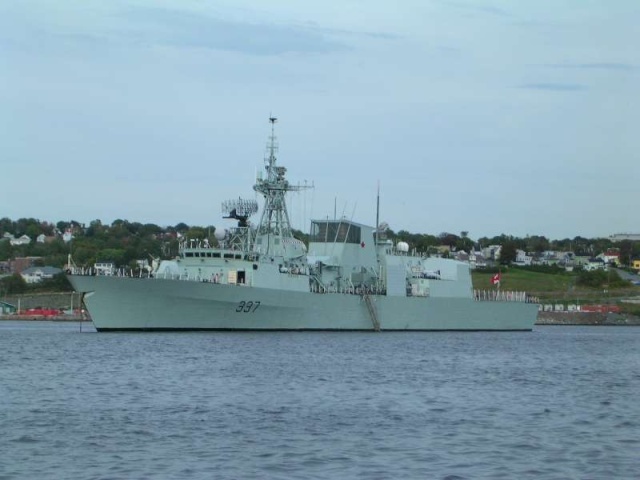 HMCS Preserver (AOR 510) in the Bedford Basin, Halifax, Nova Scotia on September 25th,2007. 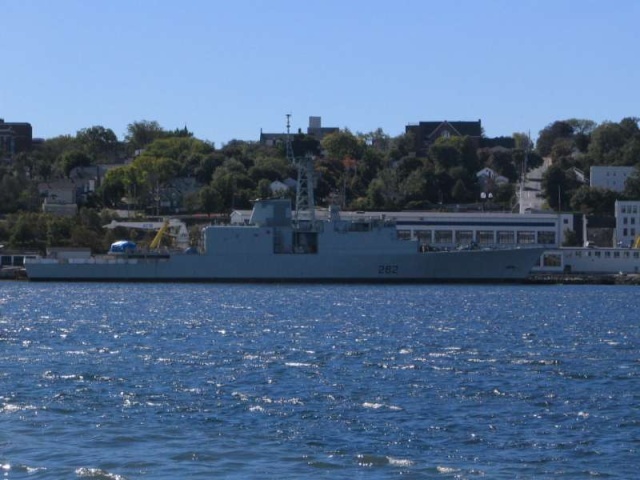 HMCS Charlottetown (FFH 339) at DND Jetty, Bedford Basin, Nova Scotia on October 2nd,2007. 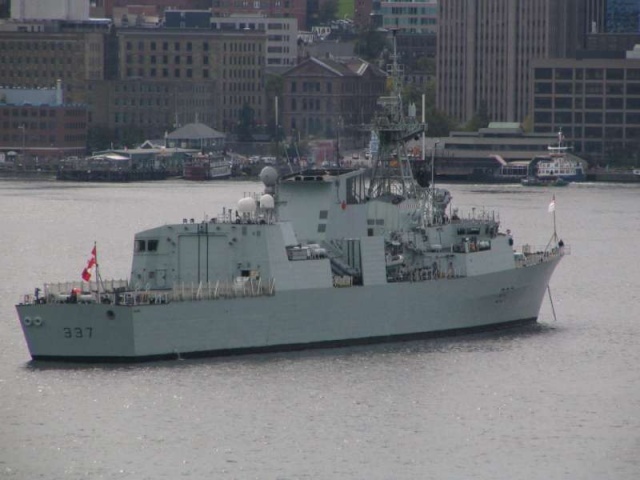 HMCS Fredericton (FFH 337) in Halifax Harbour, October 2nd, 2007. 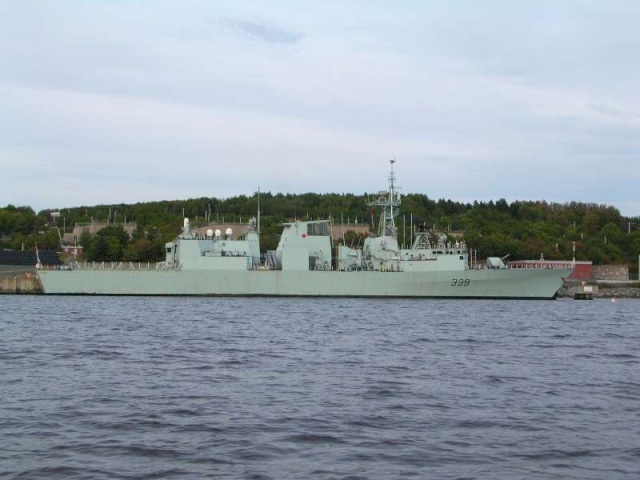 HMCS Fredericton (FFH 337) at anchor, Halifax, Nova Scotia on October 2nd 2007. 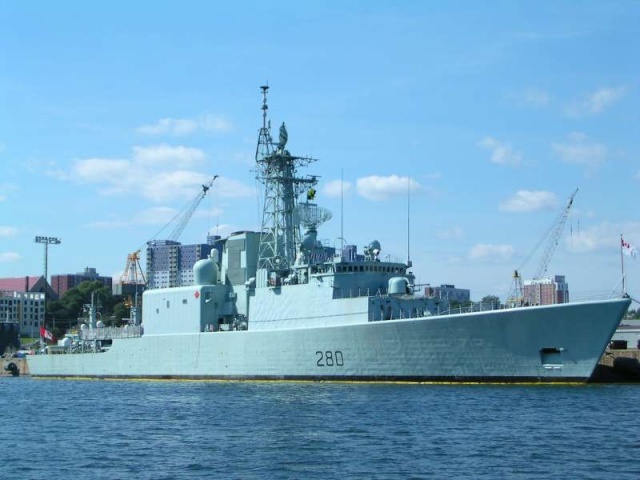 HMCS Athabaskan (DDG 282) undergoing a refit at Halifax Shipyards, October 8th, 2007. 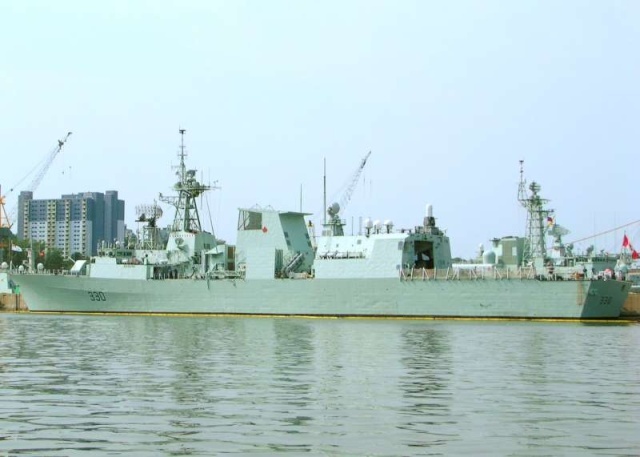 HMCS Ottawa (FFH 341) at Vancouver (B.C.) 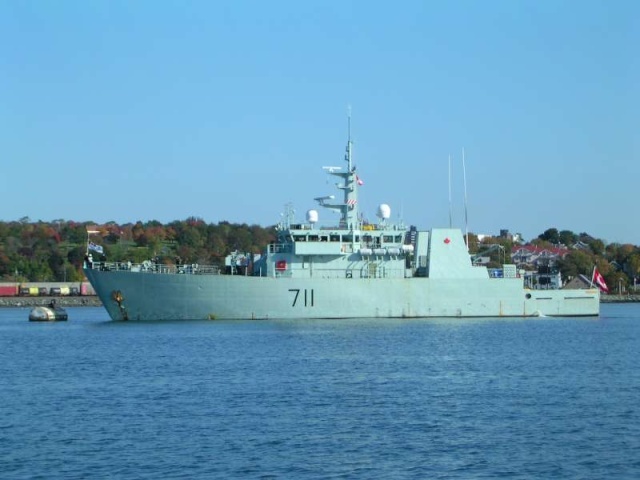 on 12/10/2007. 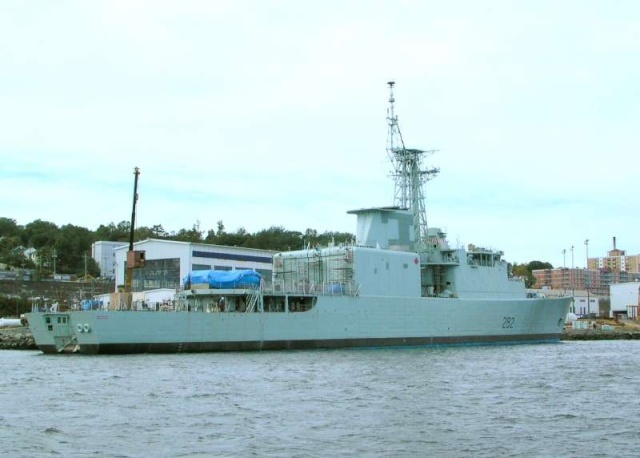 HMCS Summerside (MM 711) preparing to slip for sea,at Halifax,Nova Scotia on October 22nd 2007. 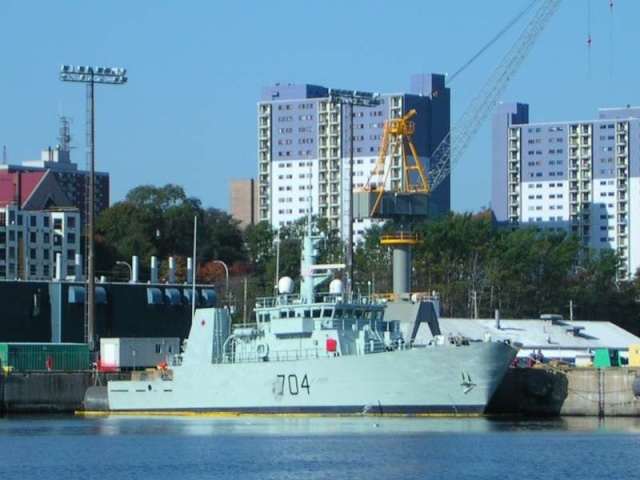 HMCS Shawinigan (MM 704) alongside HMC Dockyard, Halifax, Nova Scotia on October 22nd, 2007.